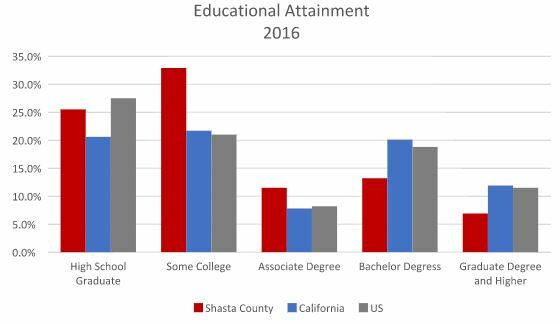 Shasta County has a higher percentage of people with at least a high school diploma (88.5%) than California (80.7%) and the U.S. (85.6%). 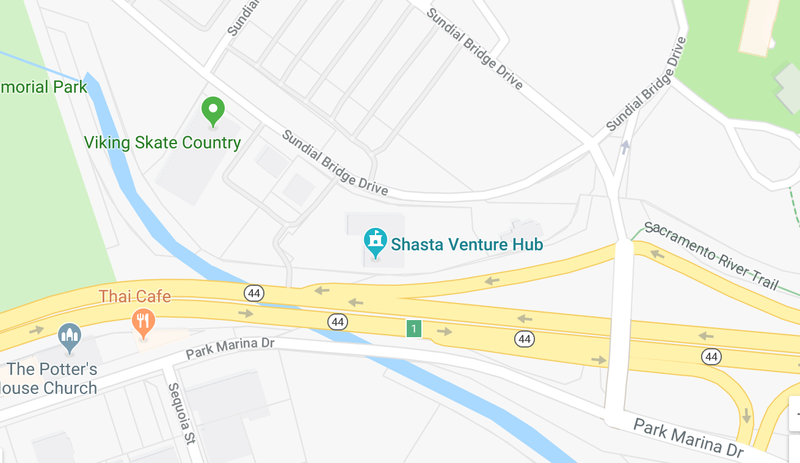 Shasta also outpaces the state and the nation in terms of portion of its population that has completed at least some college (61.3% in Shasta County compared with 59.7% in California and 57.5% in the U.S.). The cornerstone of Shasta County education, Shasta Community College, is located just five minutes from downtown Redding. The 39-building campus is located on 337 acres serving the students as well as the community. A diverse array of occupational programs is offered at the college, two of the most significant are the Electronics Vocational Training Program and the Nursing Program. 12,000 students are enrolled. Simpson University is one of America’s fastest growing accredited private universities. Programs are offered in psychology, business, missions, ministry, music, education and a wide variety of liberal arts. Simpson offers an innovative Degree Completion Program (evenings), and 13 outstanding graduate and educational credentialing programs, giving an enrollment of around 1,200 total students. CSU, Chico is located just 75 minutes southeast of Redding. University extension classes are also offered in Redding for those not able to commute. Enrollment at the University is 16,900. A California career-focused college. The Redding IOT location offers courses in the medical field. National University is a private university offering a range of four-year and graduate degrees in business and technology; education and human services; and arts and sciences. Classes are designed for working adults. Cloudwise helps people learn in-demand technology skills that will make them attractive to employers who are hiring. The CloudWise Academy courses are designed to be practical and affordable for people holding down a job or taking care of a family. Each course is taught over a six-week period, two nights a week, three hours each night. Each course costs $275.